It’s nice not having to wait six years for new Dead Congregation tunes, even if the Greek death metal band’s latest EP “Sombre Doom” is largely inessential. Clocking in at a bit under 14 minutes, “Sombre Doom’s” two songs are certainly enjoyable, but lack the grisly intensity and depth of the band’s much-acclaimed-full length records. “Redemptive Immolation” opens the EP and occupies much of its run time. It’s a death/doom piece, nine minutes in length, and overlong by about half that. For one, the buildup is protracted, even by genre standards. Although the piece does become suitably more menacing, it never really justifies the lengthy run time and its ends with more fizzle than bang. It’s never outright boring, mind you. Instrumentation is as crushingly heavy as you’d expect and the vocals are full of malice. But damn if it isn’t way too long. An enjoyable but forgettable piece. “Wind’s Bane” fares much better. 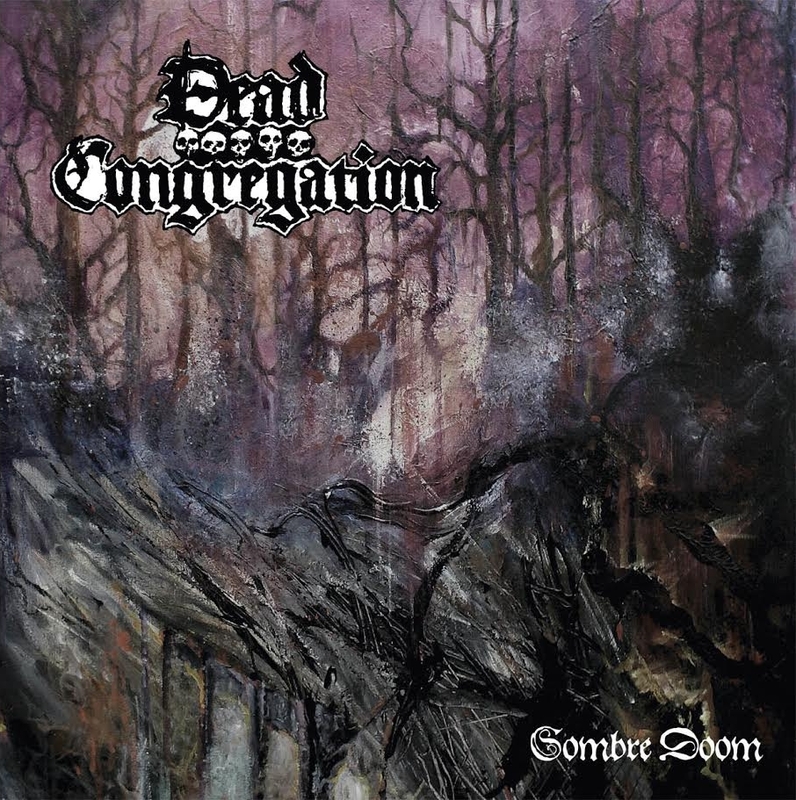 The song is traditional death metal and reminiscent of Dead Congregation’s stronger works. It’s speedy, without excess and full of the enmity and vitriol that makes for solid old school death metal. Is it a mind-blowing track? Nah. As good as the average song on the band’s 2014 record “Promulgation of the Fall?” Hardly. An enjoyable addition to the band’s catalogue in the same vein as a good B-side? Eh, sure. The same can be said for “Sombre Doom” as a whole. It’s certainly faithful to the band’s style, and rabid fans will find plenty to enjoy. Devout followers of all that is particularly heavy or old school death metal will also be able to justify the purchase. If neither applies, you won’t lose much sleep missing out on Dead Congregation’s latest.